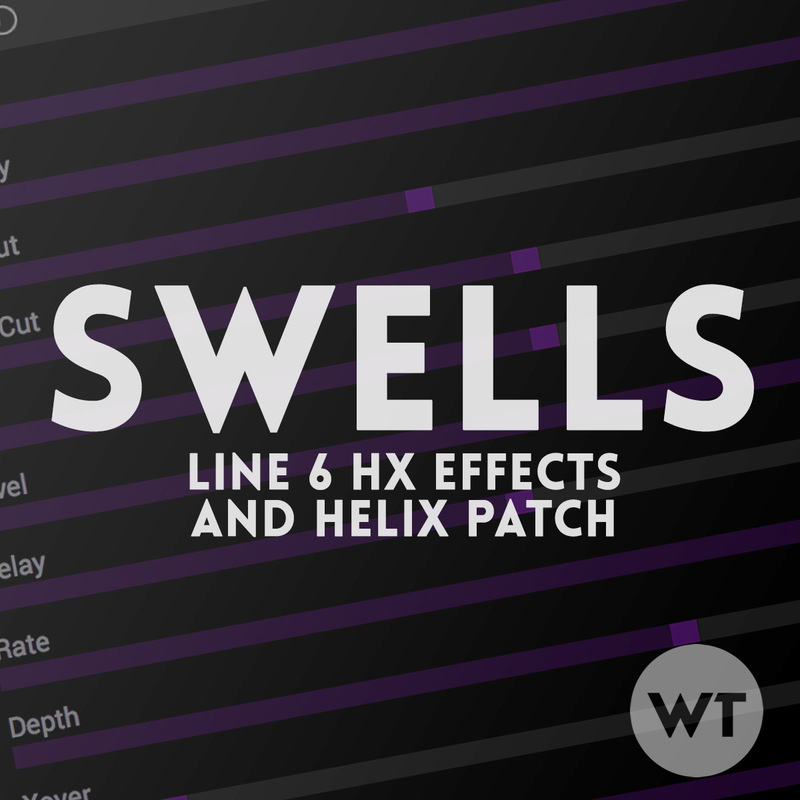 Make sure you use the file labeled ‘HX Effects’ for the HX Effects and the file labeled ‘Helix’ for the Helix. 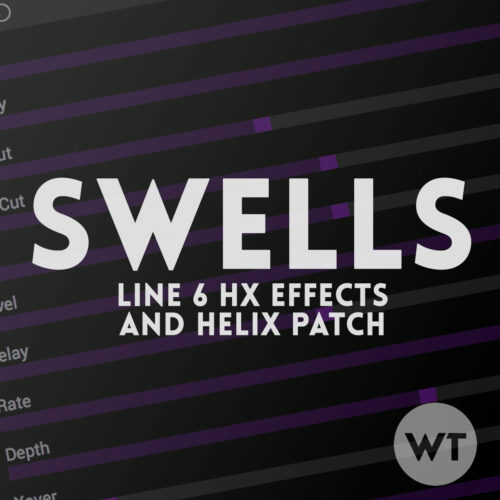 HX Effects patches will notwork in the Helix and vice versa, even though they have the same suffix. This patch functions the same on both the Helix and HX Effects – the only difference is that the Helix version gives you an amp, cabs, compressor, and volume pedal (via the expression pedal). Otherwise, the usage is identical. In the Helix patch, the compressor, amp, and cab settings are the same as in our free AC30 patch. We feel this is a great baseline swell sound, but you’ll need to use either a volume pedal or the volume knob on your guitar for swells (if using the HX Effects). Reverse Delay: We really like reverse delay as a texture in swells. The effect is more pronounced if you don’t use a lot of the other wet effects in this patch. Ganymede Verb: This reverb is not mapped to a footswitch and is meant to be always on. For HX Effects, we set up this patch assuming you’ll run it into an amp (and maybe as part of a larger board). You may want to make subtle changes to the effects, or even add modulation like chorus or vibrato (there are a few open slots in the signal chain to do that.